Sufficient living space, a full refrigerator, relaxation on a family vacation – all of these represent expenditure for parents that is part and parcel of family life. In addition, many parents, grandparents or godparents put some money aside to provide for the children's future. Minor children and young people are also provided for in the case of inheritance, which is how child's assets come into being. But who does the money belong to? Who has to manage it? And should details about a child's assets appear in your tax return? In Switzerland, children have capacity to act at the age of 18. Until then, it is the parents' responsibility to manage their children's assets. In the case of your offspring's savings, the law distinguishes between dedicated and freely disposable child's assets. All the money that a child receives for savings purposes from gifts or an inheritance is deemed to be dedicated assets. Parents manage these until the child reaches the age of majority. The person giving the money can also set conditions for how the money is to be used, for example for the child's education. Parents are not permitted to use it to buy a bicycle or a smartphone for their child, but must adhere to the conditions set by the person giving the money. Pocket money, a teen allowance or money the children have earned themselves, such as the apprentice wage, count as the freely disposable assets of the child. Children themselves can decide how to spend them. Parents can use these freely disposable assets to purposefully show their children how to handle their money. Whether the child's assets are dedicated or freely disposable, it is generally the case that the money always belongs to the child. How much pocket money do other children get? What rules need to be followed? What do the experts advise? 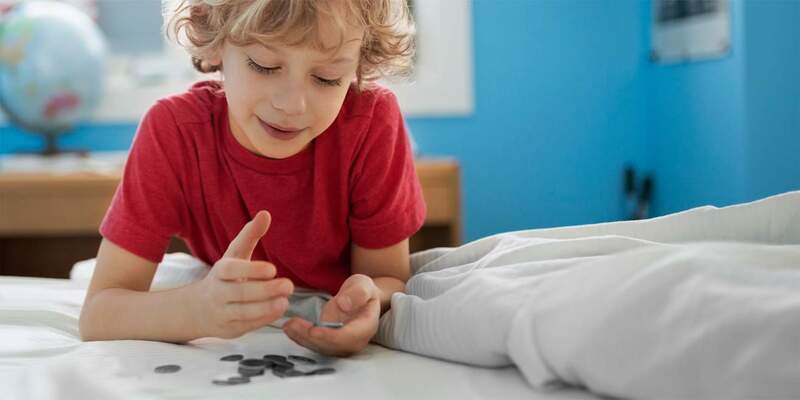 Daniel Betschart, head of debt prevention and consumption at Pro Juventute, knows where the boundaries lie in managing child's assets: "In principle, the legal representatives may not draw on the child's assets." If the child causes damage, the parents may use the money to pay compensation. The interest, i.e. the profit from the assets, can be used by the legal guardians for the child's upkeep, upbringing and education. In emergencies, parents may draw on the assets for the needs of the children with the agreement of the child and adult protective services (CAPA). Child savings account, Investment fund savings plan, or Gift savings account – what is the best way to save for a child? In general, cash gifts count as a child's dedicated assets and may not be touched. But what about a small gift from a godparent or a little money from grandma? These amounts are also deemed to be part of a child's dedicated assets. But Daniel Betschart's advice in such cases is to use common sense: "For smaller amounts, it makes a lot of sense to come to an agreement with the child about what the money should be used for and to allow the child to have a say or to use the money freely." Small gifts should not be confused with pocket money. Your children can use their weekly two francs as they please. If some money is available, the question arises: Where's the best place to put it? Under no circumstances should it be left in your own account. Because then there is no record of it being child's assets and there is no guarantee that it will remain untouched. Instead, there are separate accounts for children, for example, the Viva Kids Banking Package Savings account. The account is held in the child's name and it is therefore clear who the money belongs to. If grandparents or godparents want to save regularly for a child, a Gift savings account is also suitable. Child's assets must be declared to the tax authority. Who is responsible depends on the name in which the account is held. In the case of a child account in the name of the child, the parents must declare the assets to the tax authority. However, if a grandparent or godparent is the account holder, they are subject to tax on the account assets.